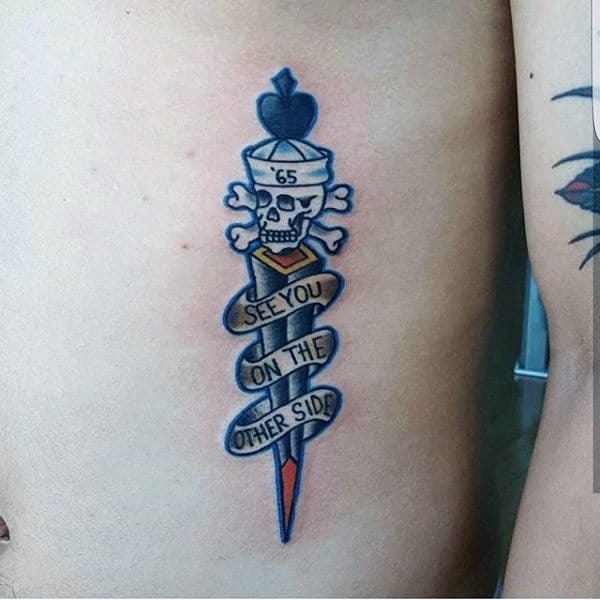 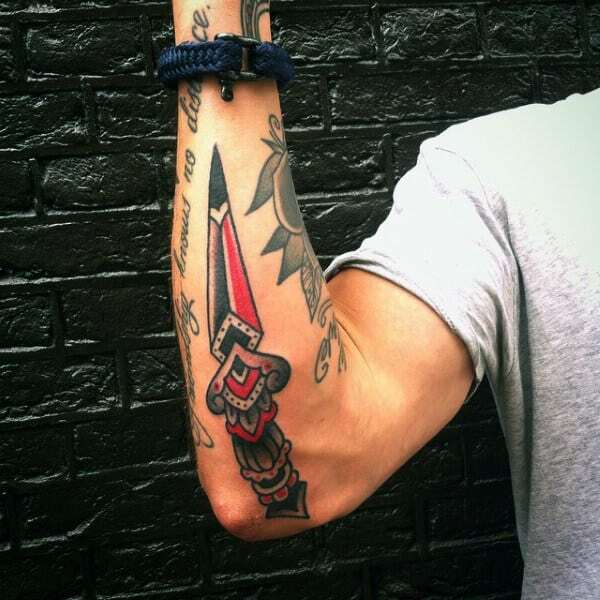 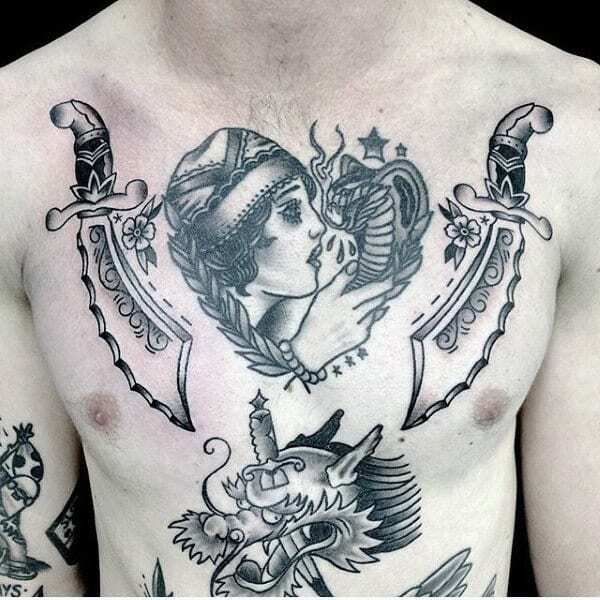 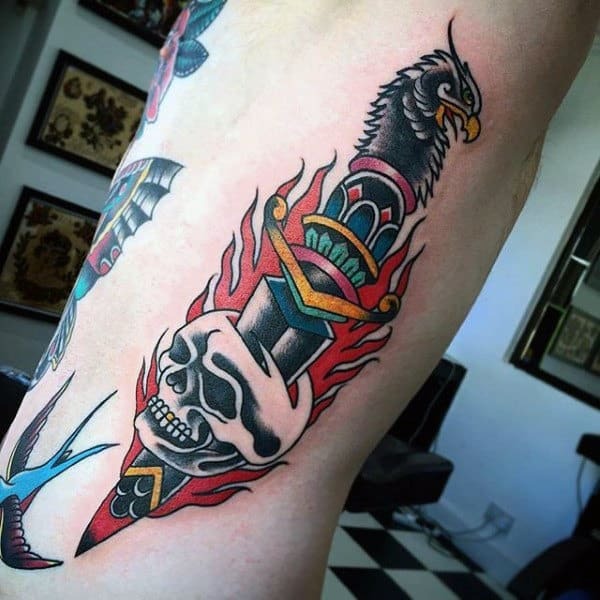 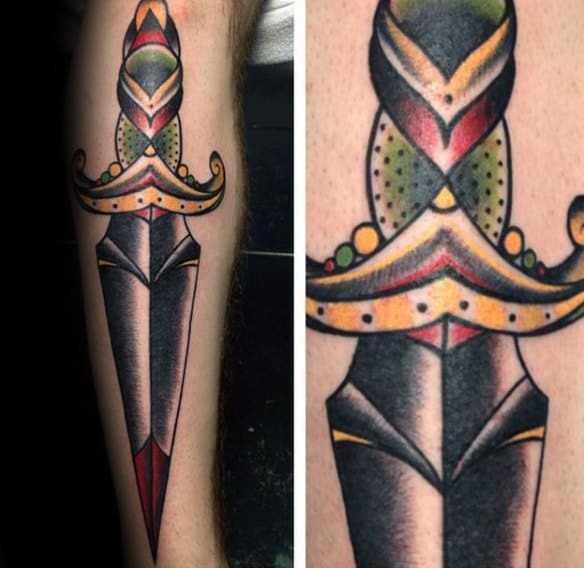 Any gentleman who is interested in traditional tattoos has seen a dagger at some point, and these weapons are one of the oldest tattoo designs. 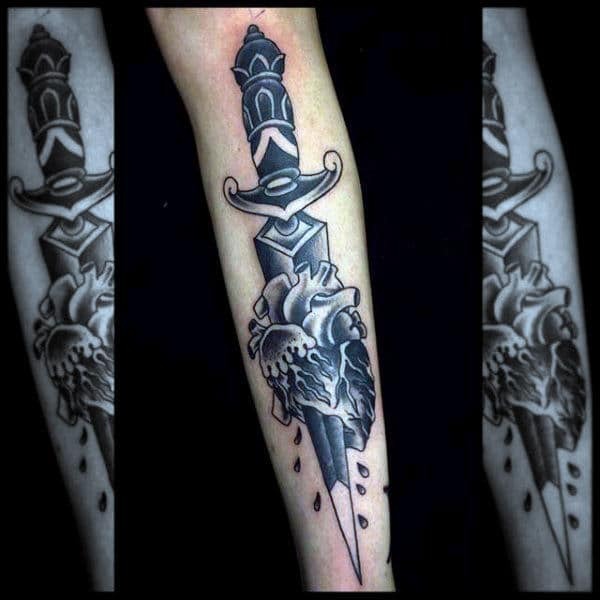 This type of artwork generally depicts a dagger that has a gleaming silver blade and a beautifully ornate handle. 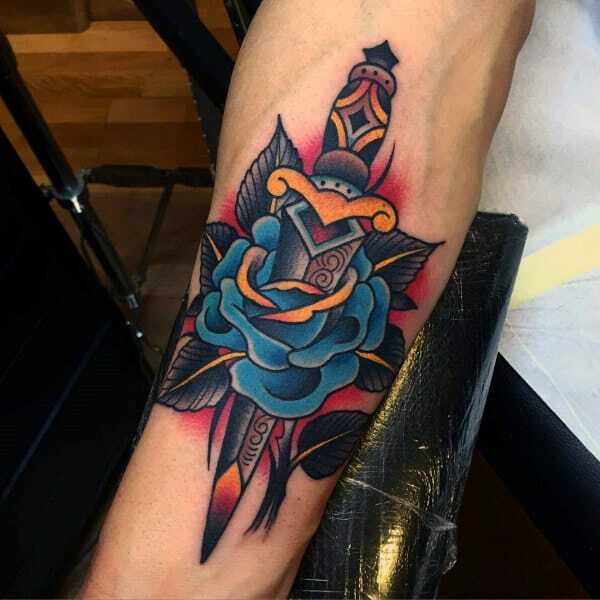 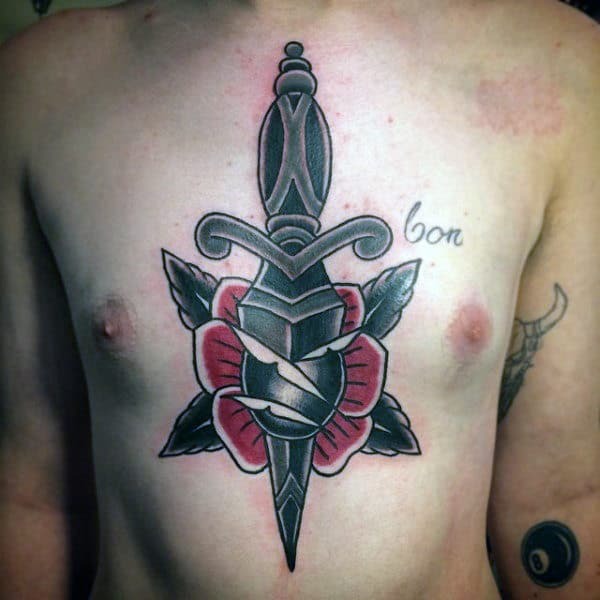 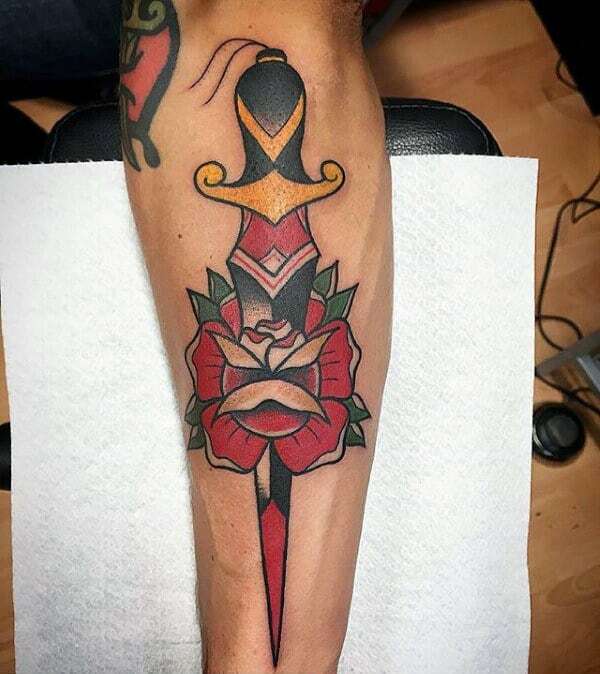 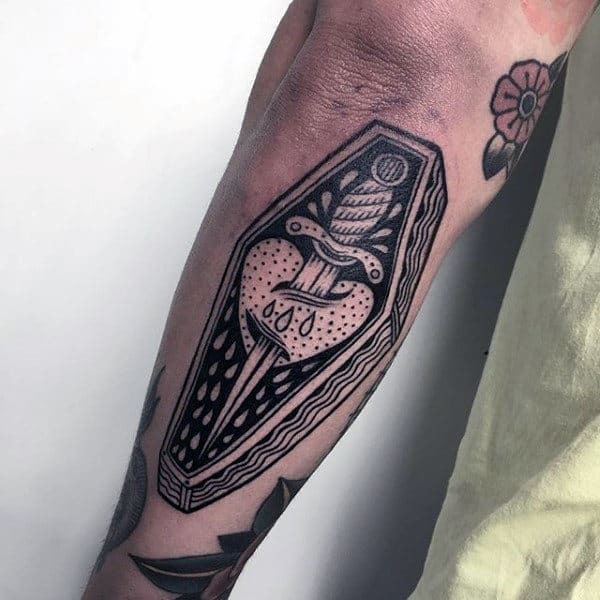 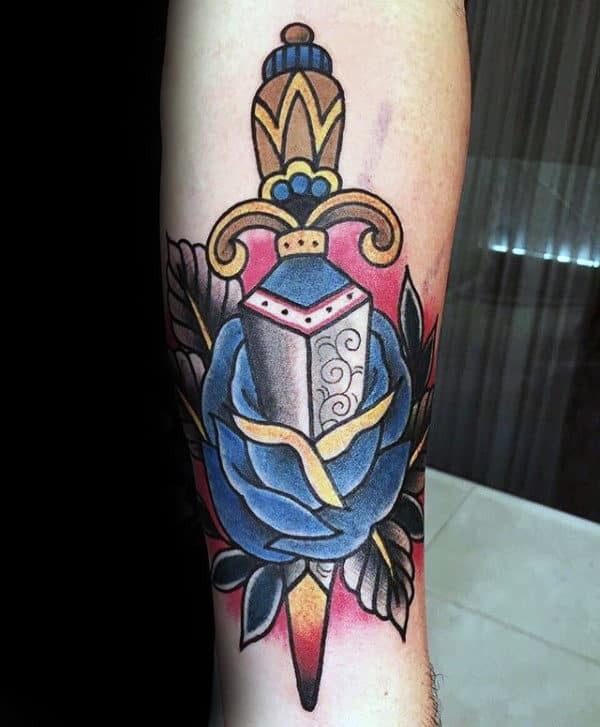 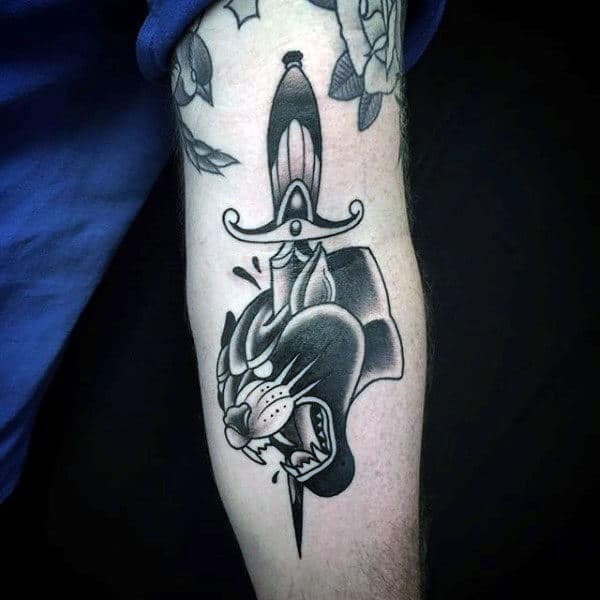 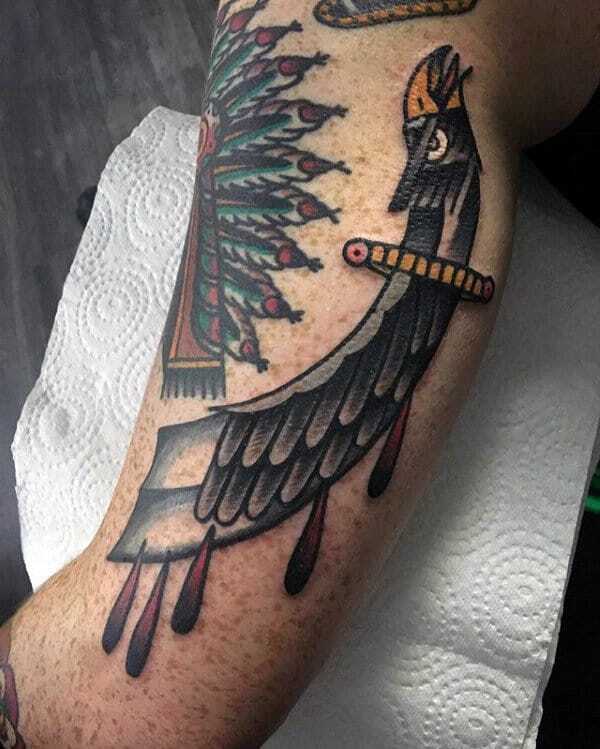 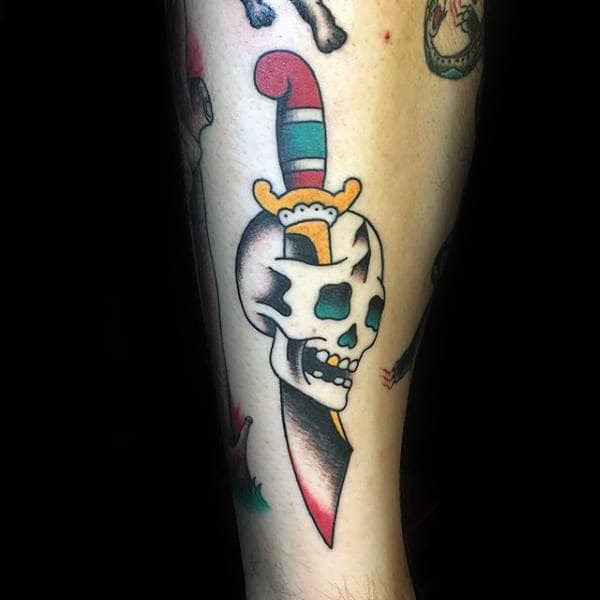 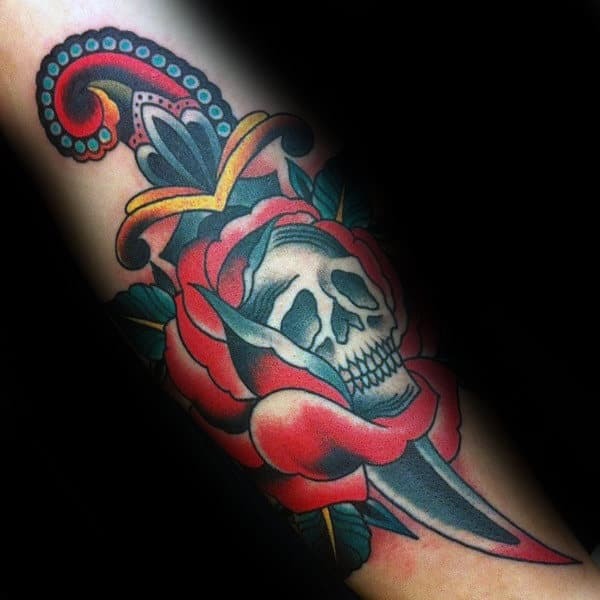 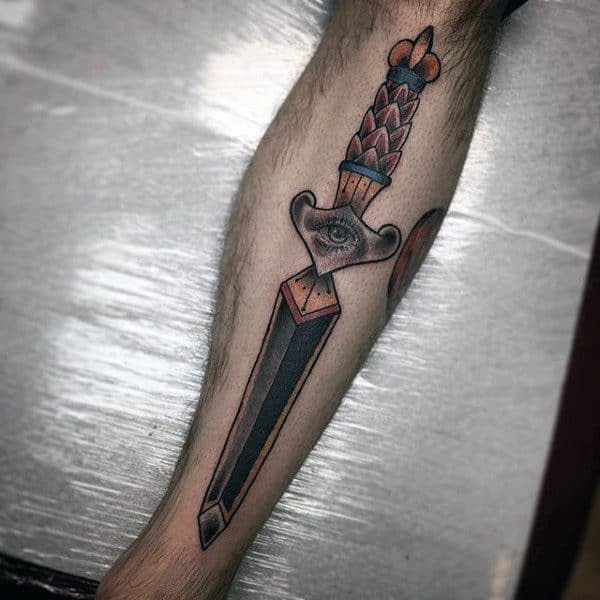 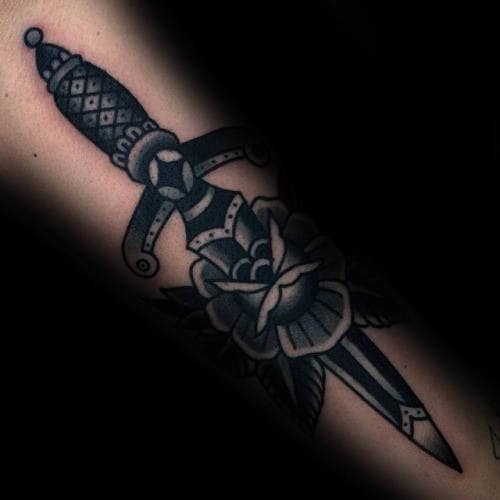 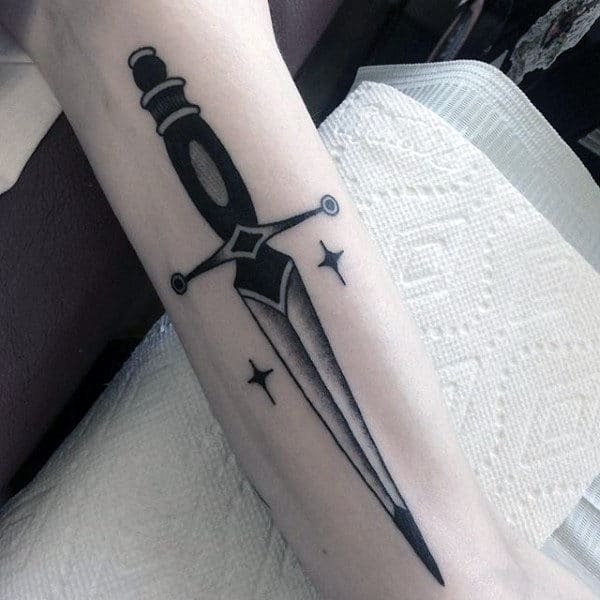 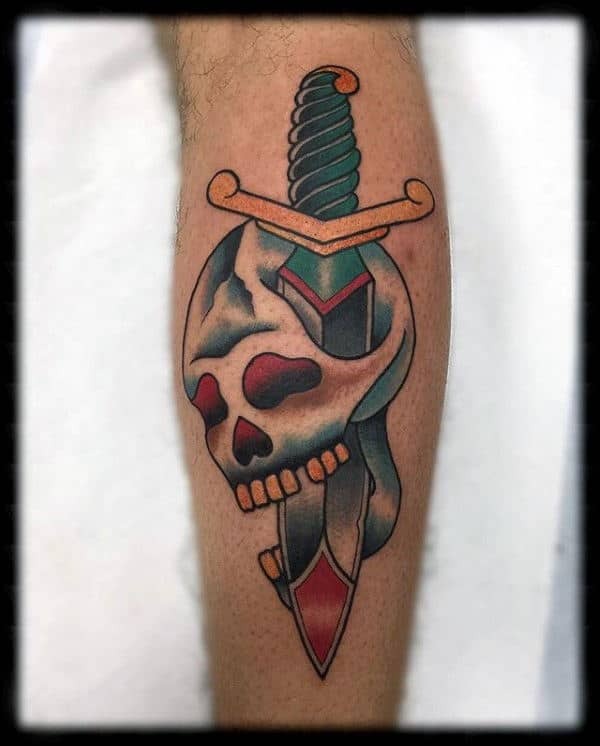 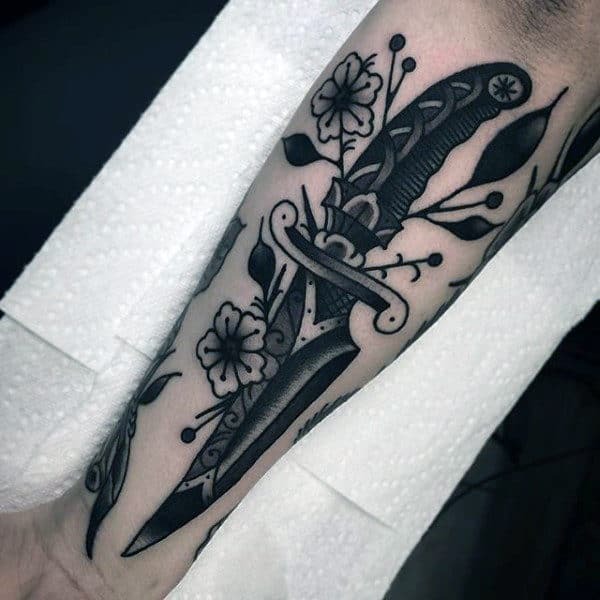 Dagger tattoos are often split in the middle to depict stabbing, and a dagger typically appears to be stabbed through the head of a creature, a flower, a heart, or even the subject’s skin. 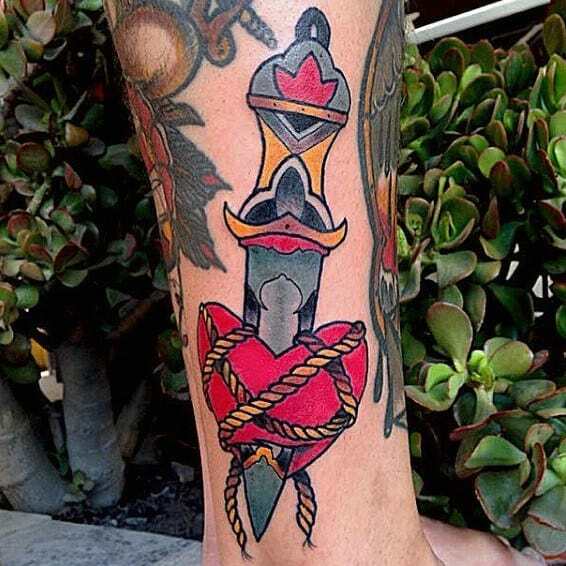 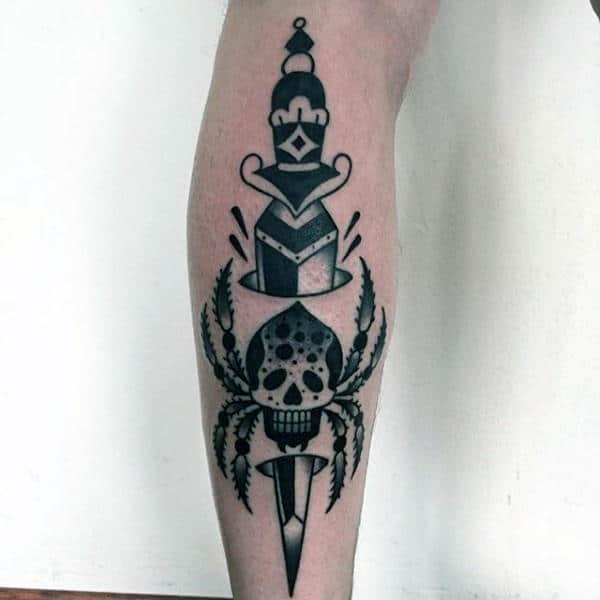 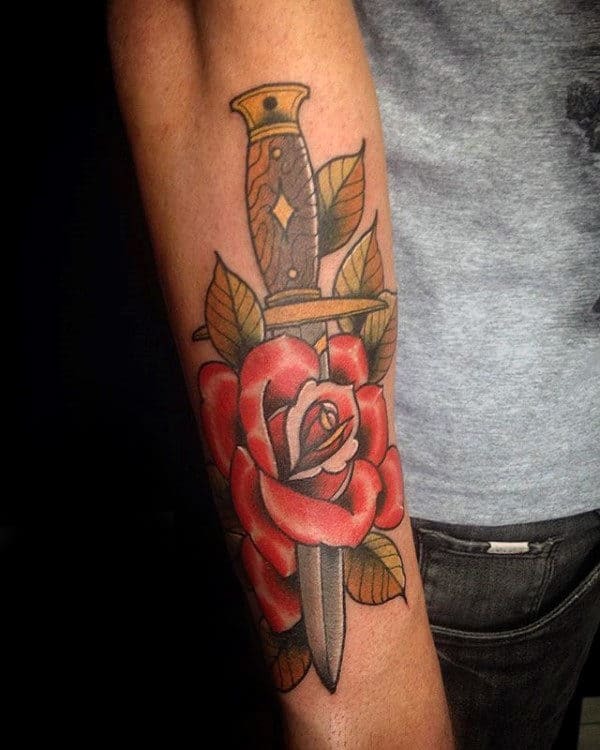 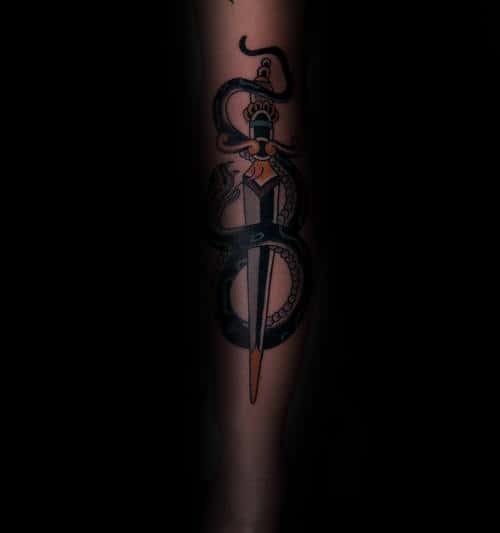 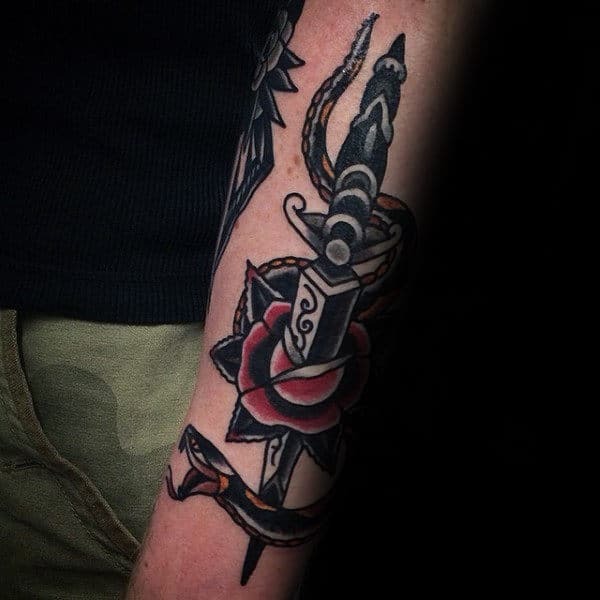 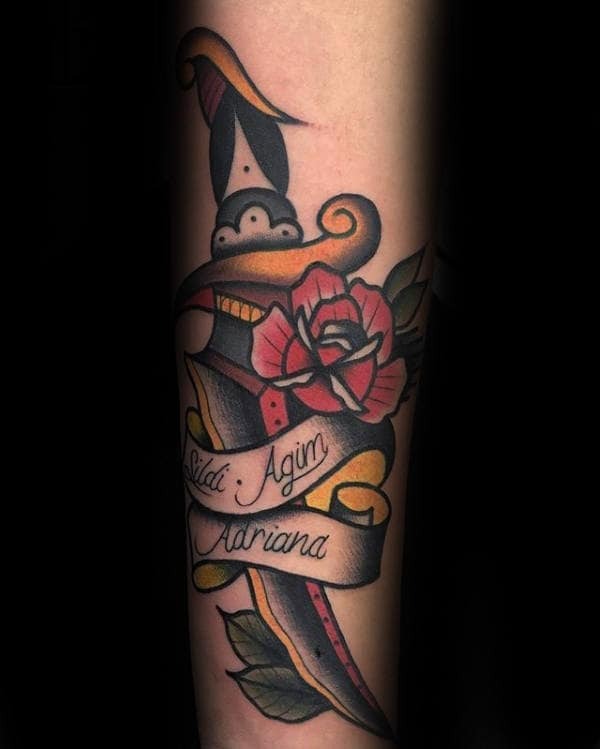 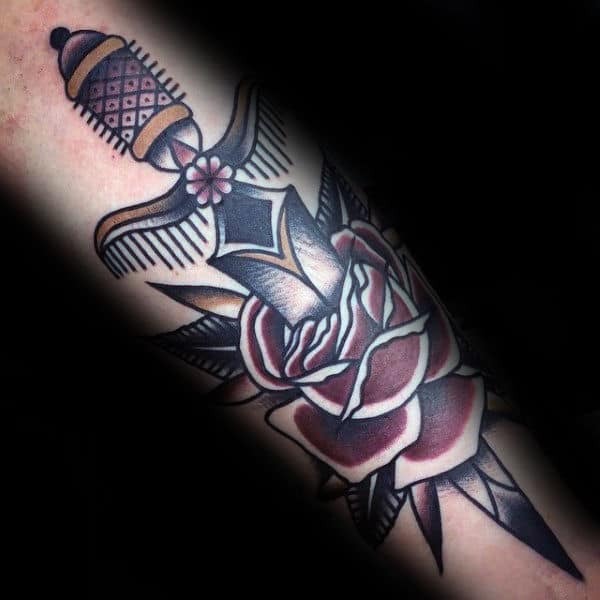 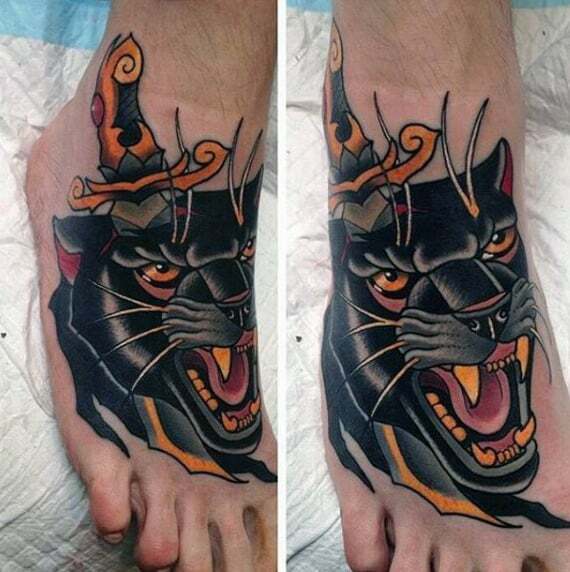 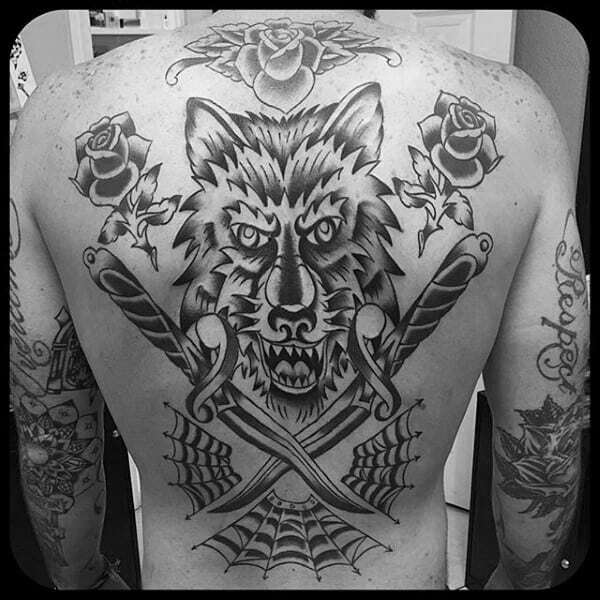 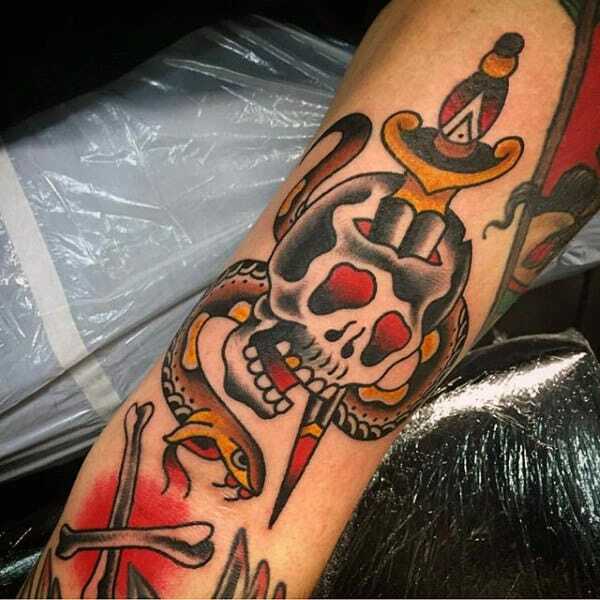 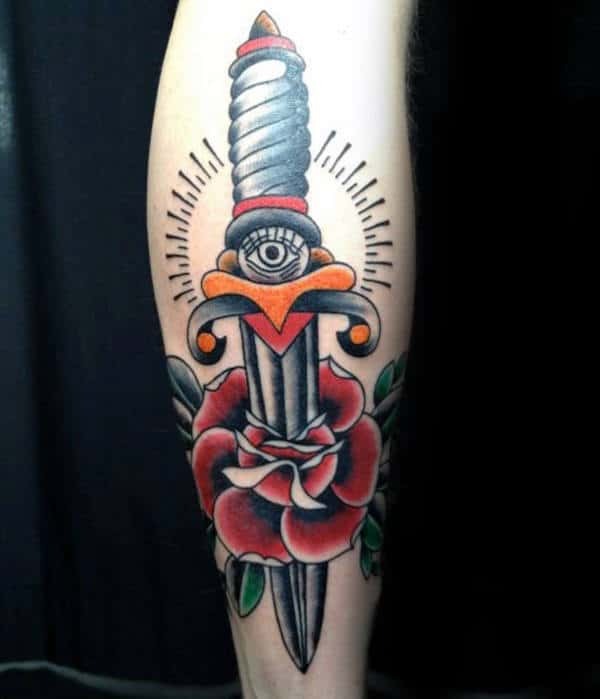 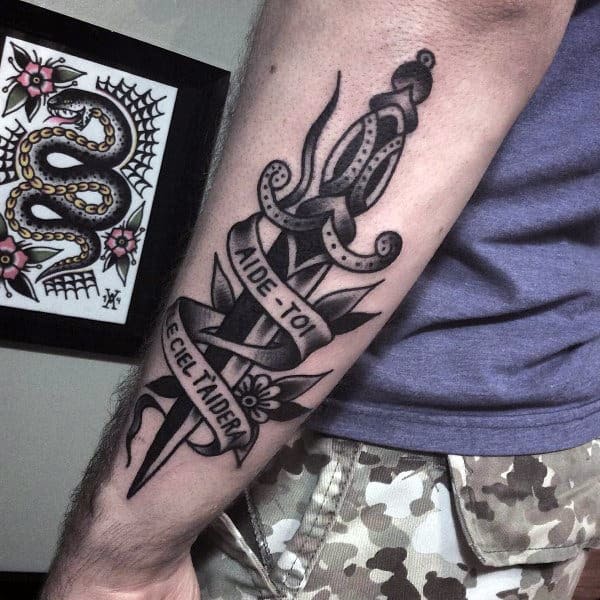 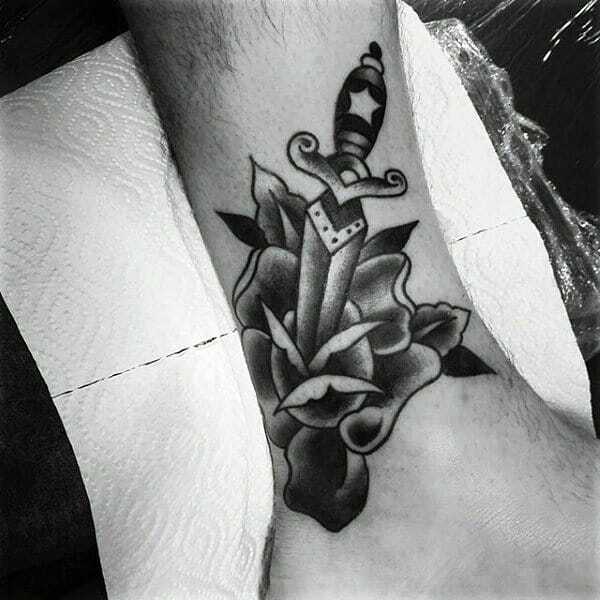 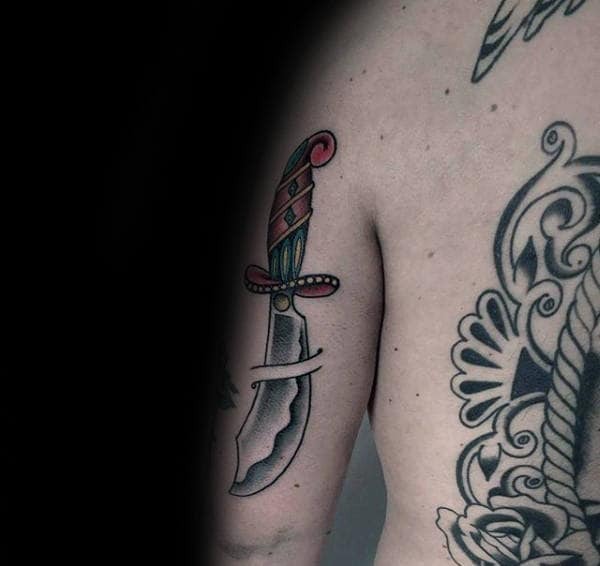 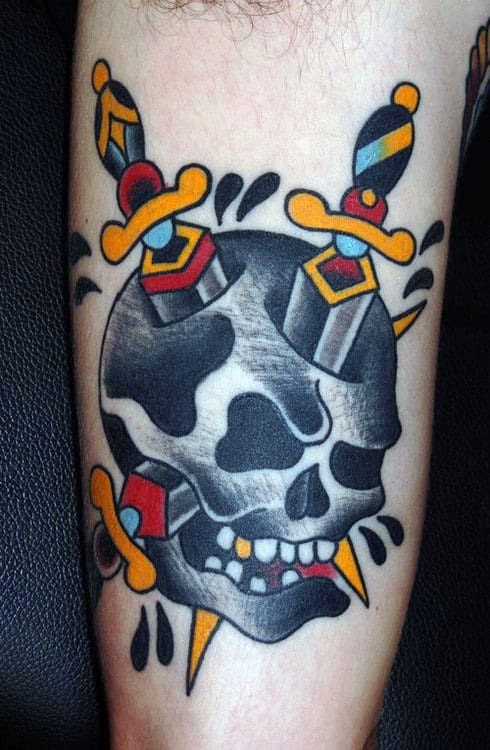 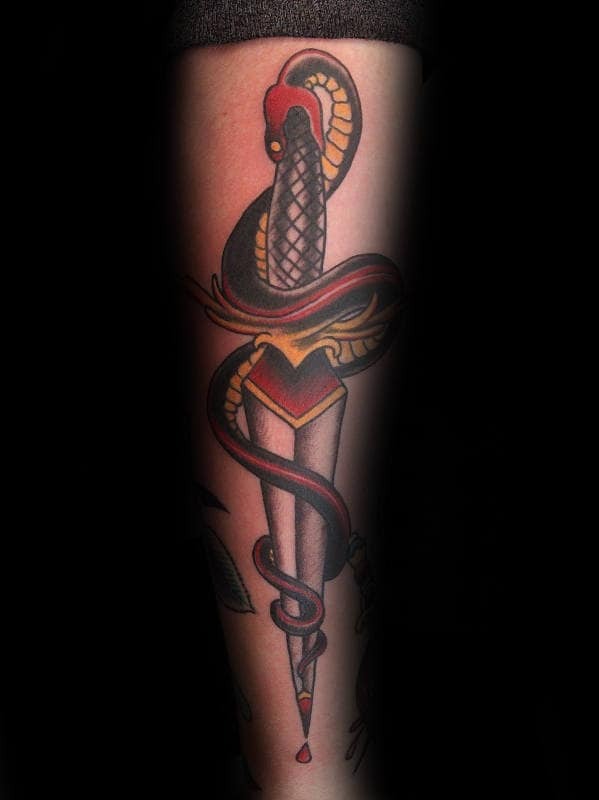 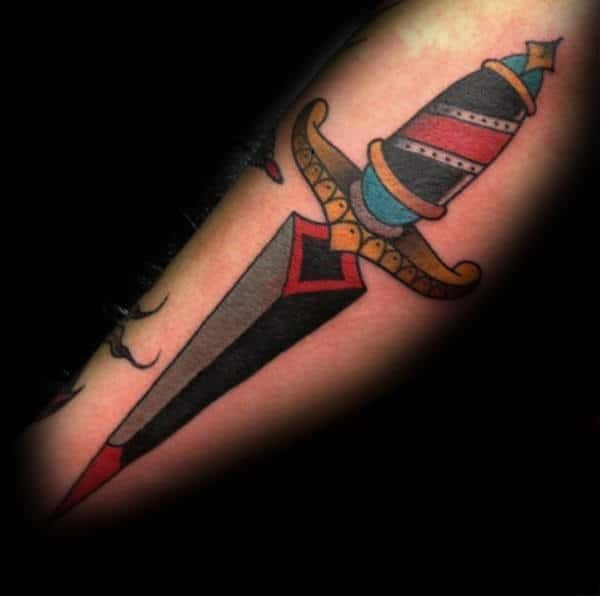 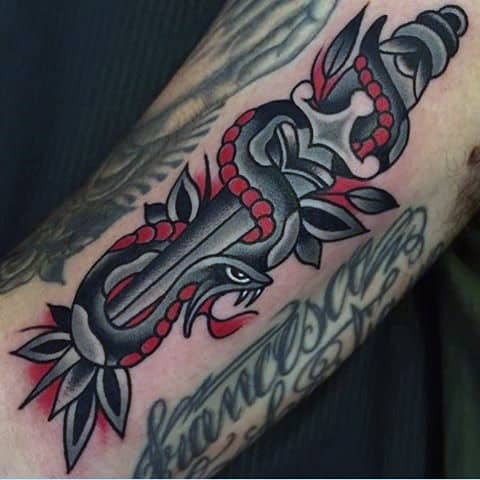 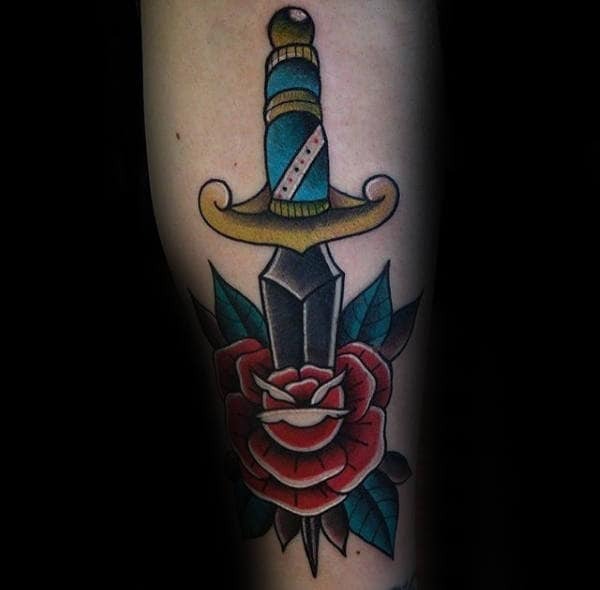 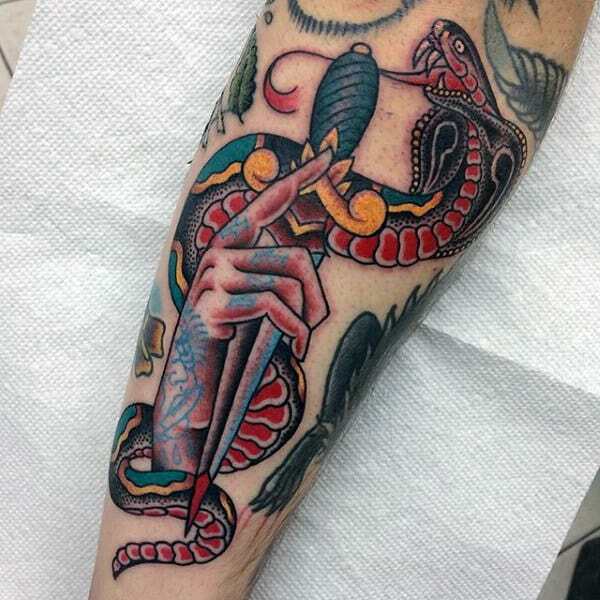 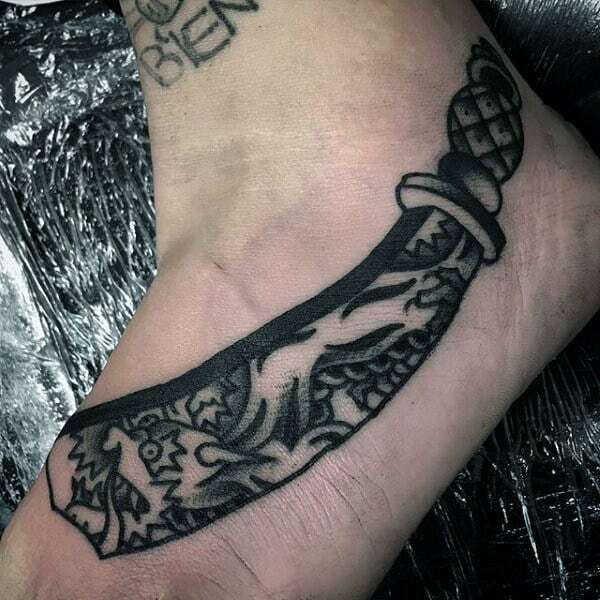 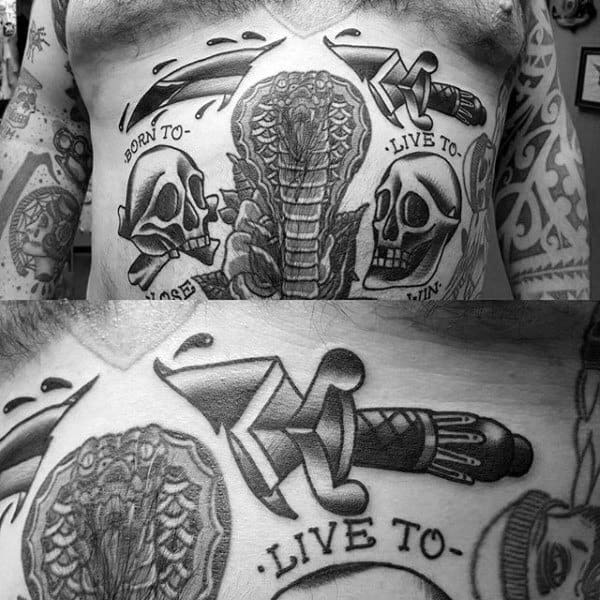 The many combinations make a dagger tattoo extremely versatile. 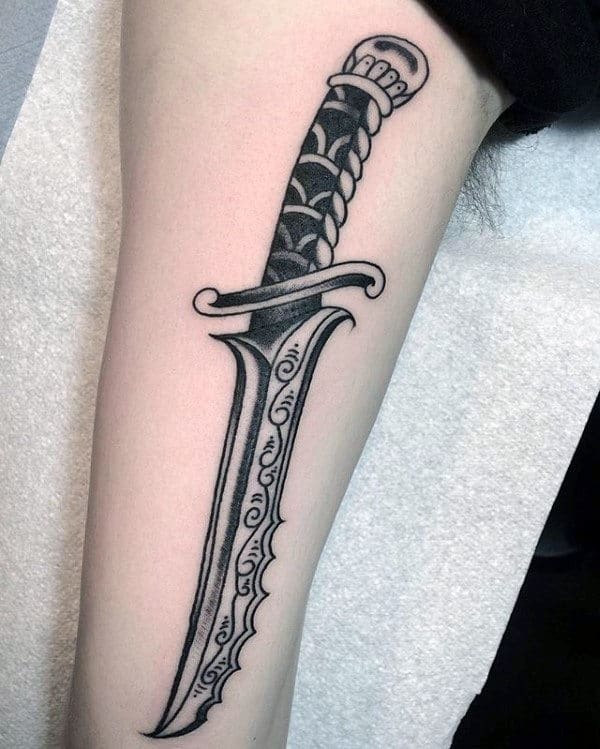 Of course daggers are often used to symbolize fighting, danger, and ferocity because the real thing is used in close hand to hand combat. 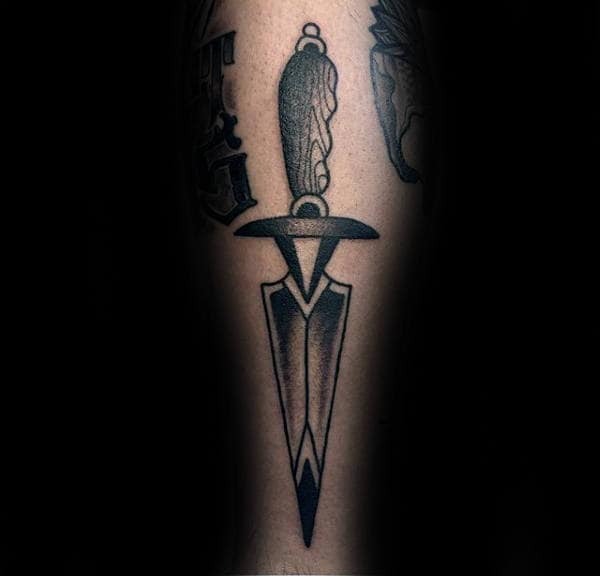 However, when the dagger is combined with other symbols, its meaning can often vary. 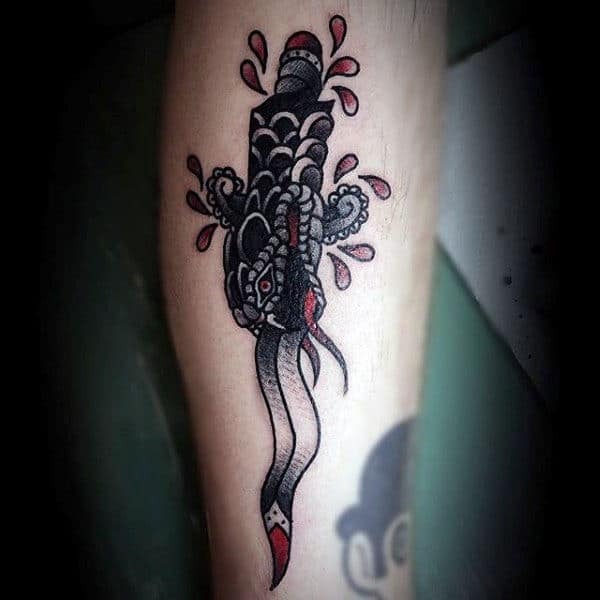 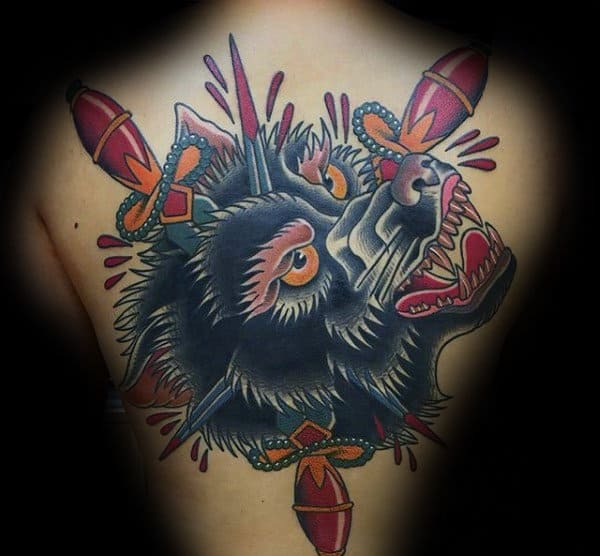 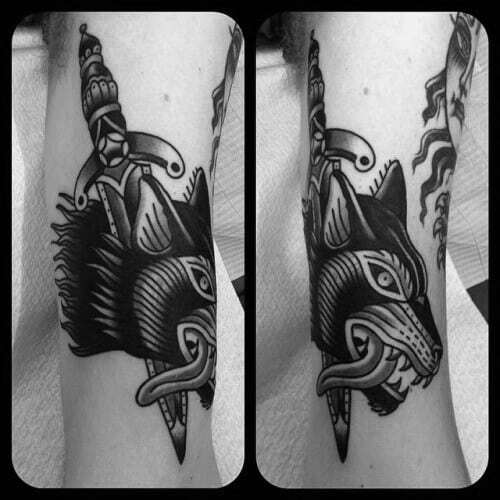 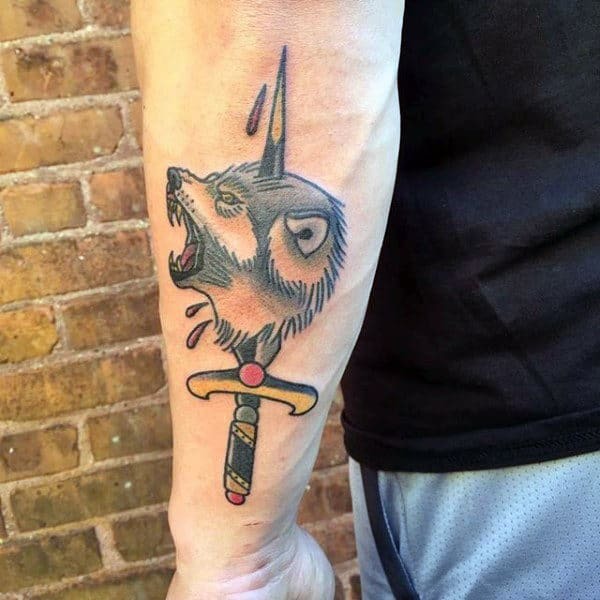 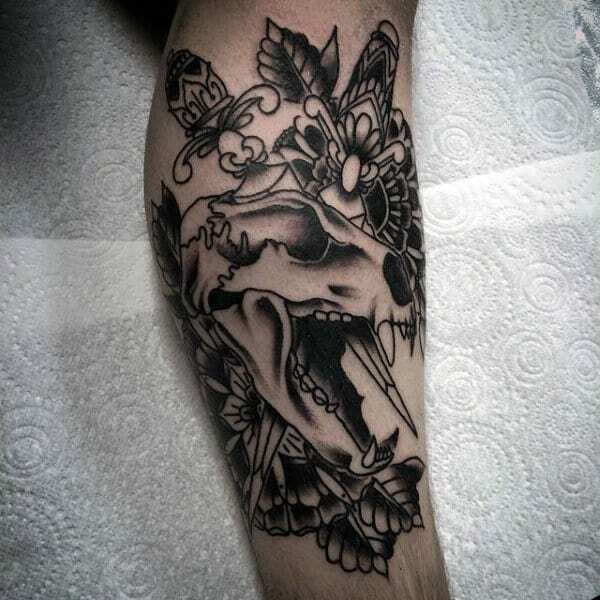 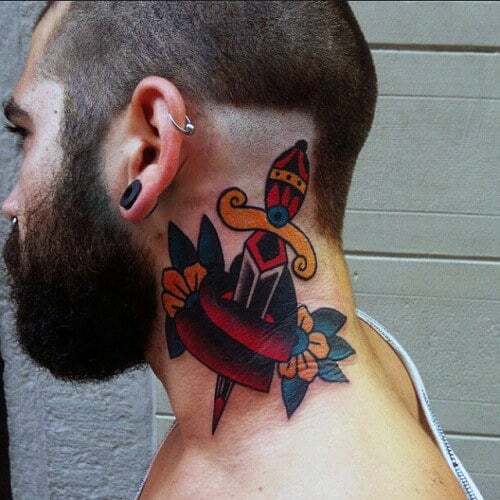 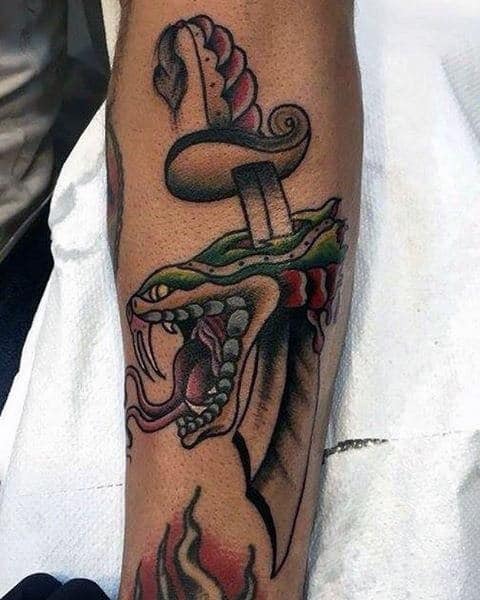 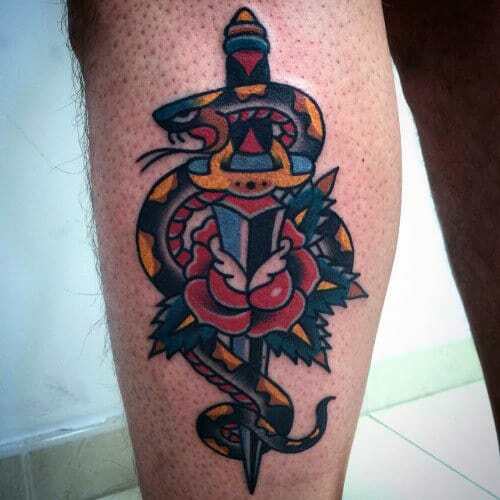 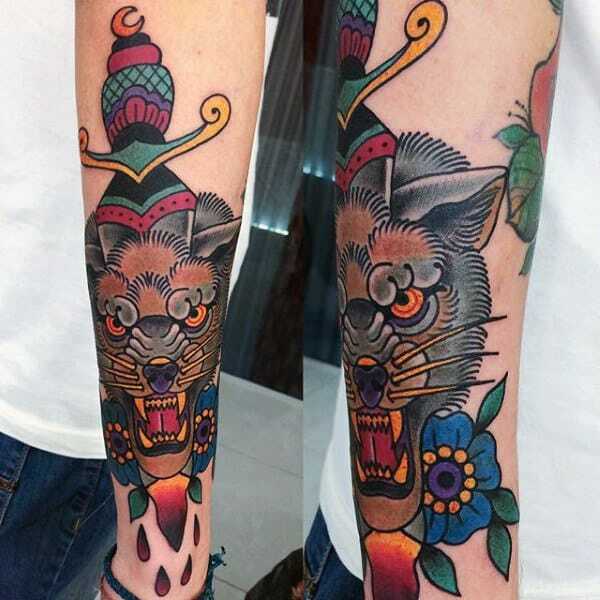 A dagger stabbed through an animal head is generally a symbol of overcoming a challenge. 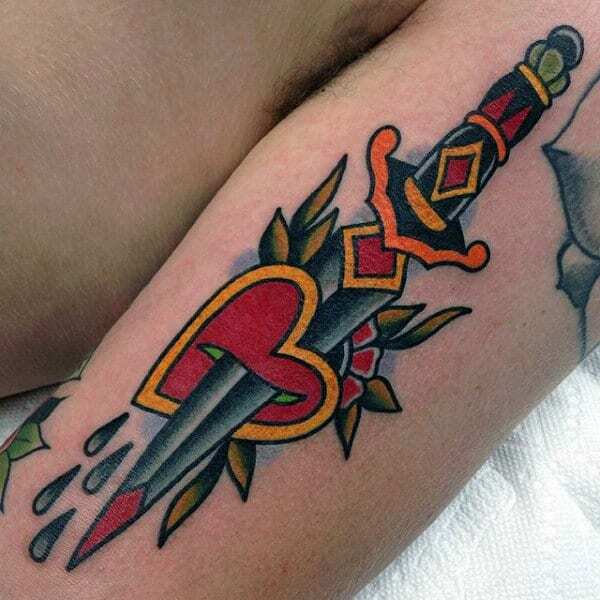 When paired with a heart or a flower, daggers often symbolize a lost love or a romantic betrayal. 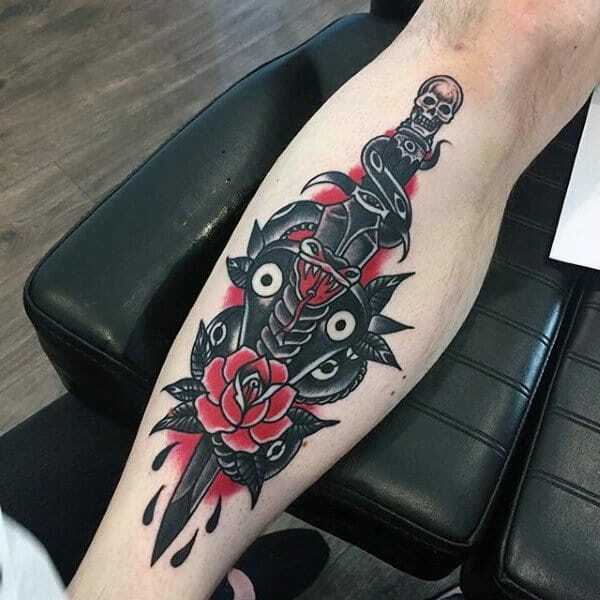 It is also traditionally paired with a swallow tattoo to show good luck, and in China daggers are paired with a cherry to show immortality. 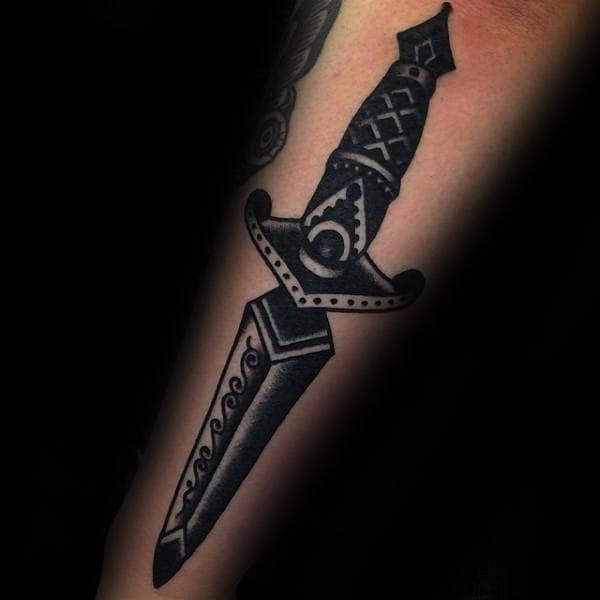 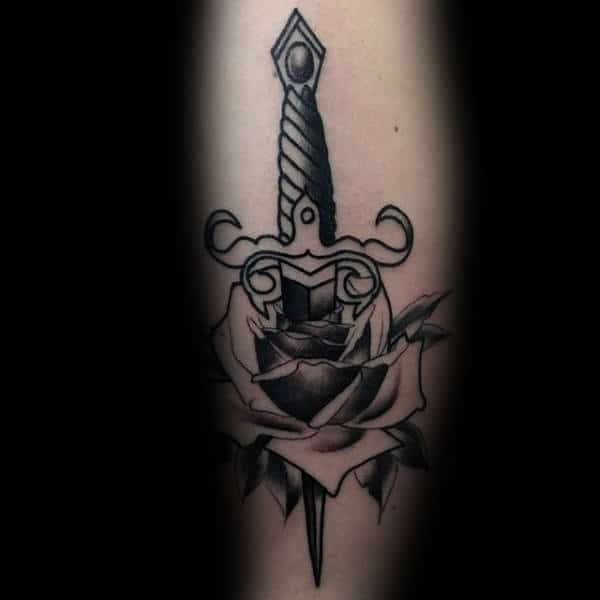 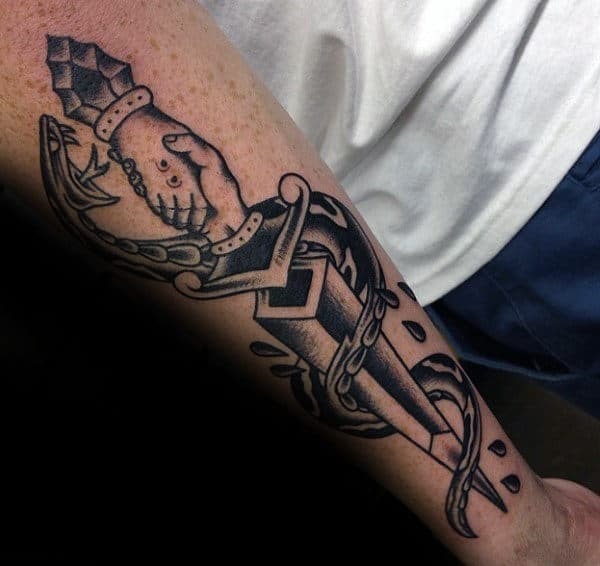 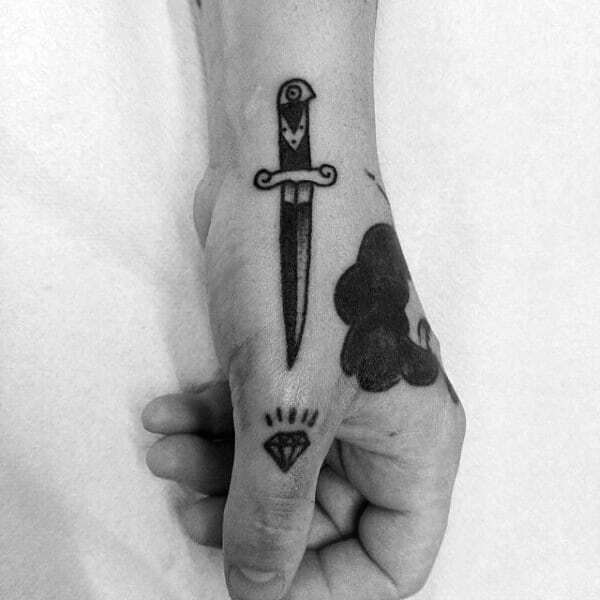 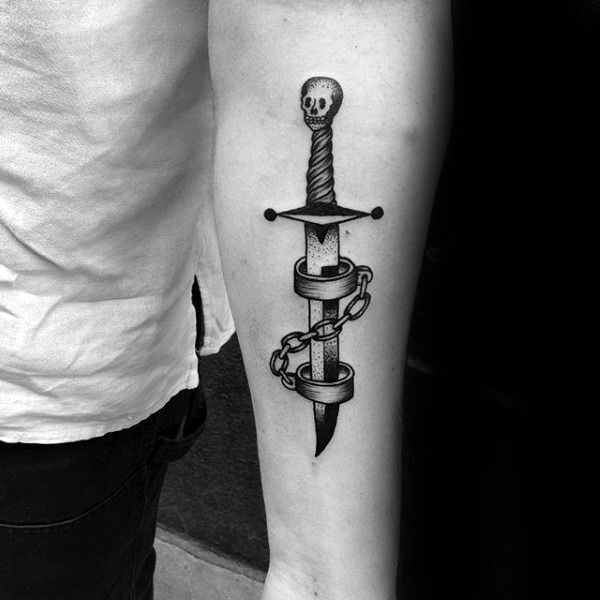 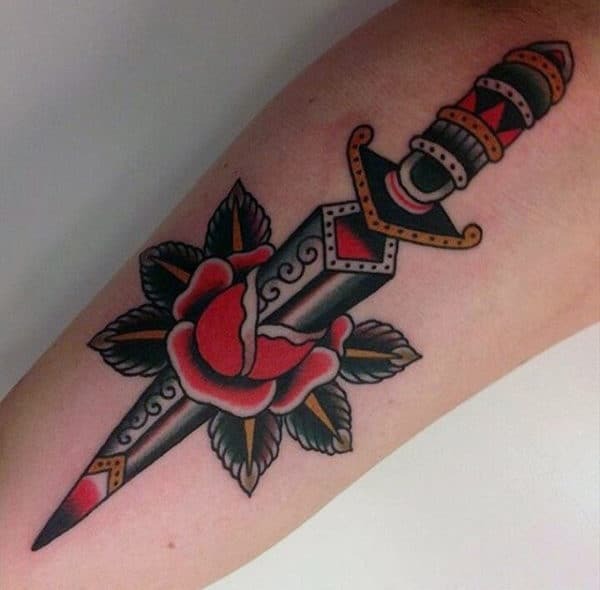 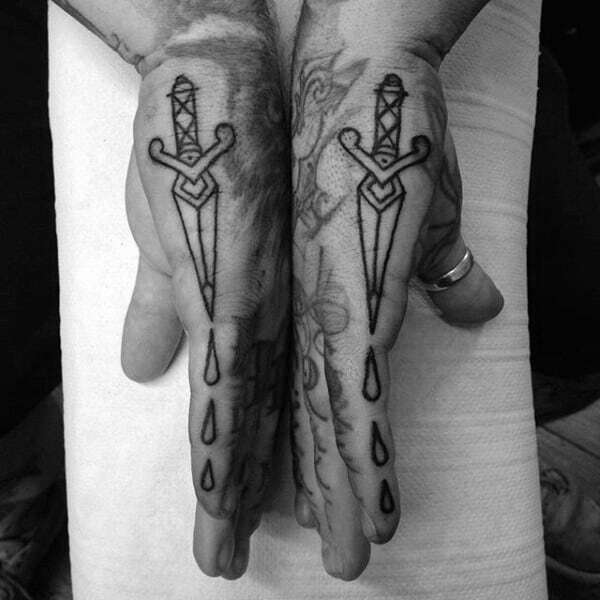 A plain dagger that is done without any other accompanying symbols can show sacrifice, bravery, and loyalty.